Looking for a new idea for your next staff day? We offer a variety of 2-3 hour workshops that will get your group working together on a beautiful project to take home! We've facilitated Team Building Workshops for companies with up to 25 staff members. To book a workshop call into the shop and speak with the Woodshop team. We will work with you to find the best date, and select a project for your group! 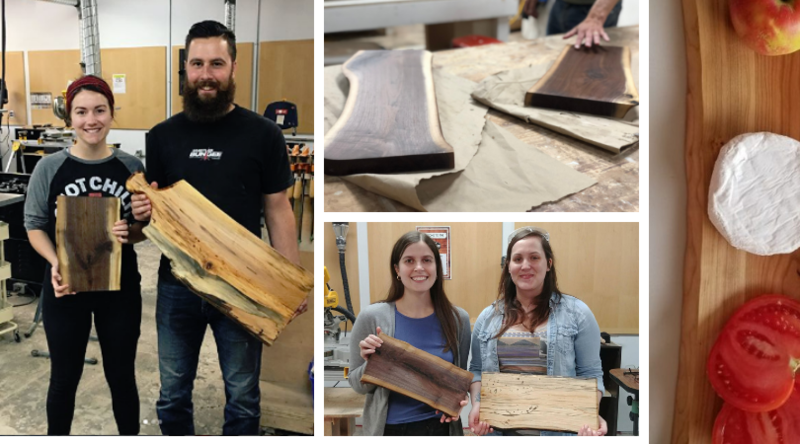 Make a beautiful Live Edge Charcuterie Board. Personalize by selecting the wood (walnut or maple), a shape and just the right handle! 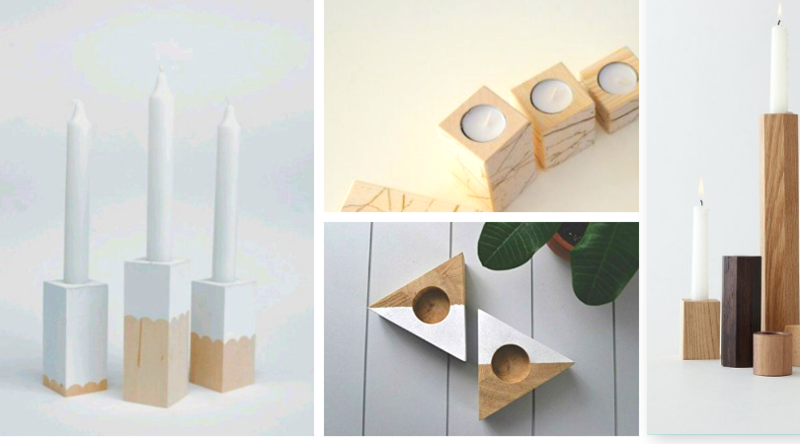 Each attendee will make a beautiful Tea Light Candle Holder, selecting a preferred shape & size. 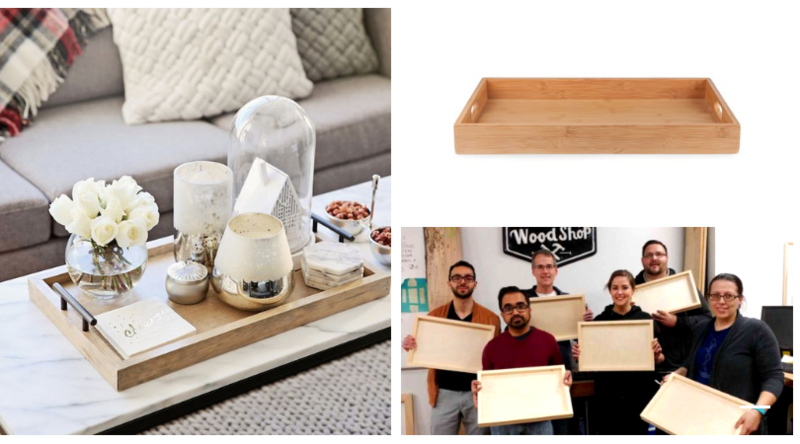 this workshop you will make a beautiful coffee table tray. Each attendee will have the opportunity to select handle type, or no handles for a minimal look.